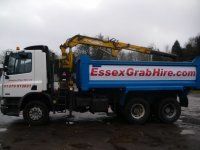 Stansted Plant Hire; providing professional and reliable grab hire in Essex. Grab Hire in Chelmsford and Surrounding areas. Our grab hire in Chelmsford Essex is ideal for builders and other property maintenance trades. Our grab lorries can collect any loose rubble and dirt from your driveway and take it away for you. Our grab lorries can also help you to lift large items that you may struggle to lift into a skip or truck by yourself. Digger Hire Stansted and Surrounding areas. If you are carrying out any groundwork in Essex our digger hire could be just the thing for you. We offer digger hire and grab hire in Stansted, Chelmsford, Braintree, Harlow and throughout Essex. We have large diggers and mini diggers available for any job however large or small and can provide our professional opinion. Braintree Digger Hire and Surrounding areas. further information about our services. Our number one priority is customer service and we will always aim to provide a service that you will be fully satisfied with. If you are interested give us a call today for a service that will not let you down.